The beauty of Kickstarter is that it makes it possible for people to launch products that would normally never see the light of day. In the technology arena especially, we’ve seen all kinds of awesome and not-so-awesome things come out of the crowd-sourcing funding machine that is Kickstarter. We’re not really sure which side of that fence we’re going to put the SlatePro desk just yet, but it sure looks nice. 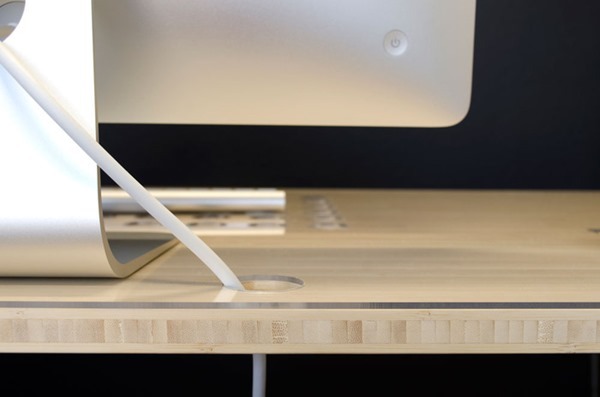 The idea behind the SlatePro is to offer a desk that gives everything its place. Just a cursory glance at the thing will show that its creators clearly believe that they know best, almost forcing people to work they way the desk wants them to. That means having slots for iPhones and iPads – we’re a bit unsure about anything else fitting properly, though there is a list of supported devices – as well as an area designated as a mouse pad. That’s on the right-hand side by the way, and we don’t see anything about provisioning for lefties. The desk knows best, so don’t question it! Once you get past the idea of being told how to work by an inanimate object, there are indeed some things we like. 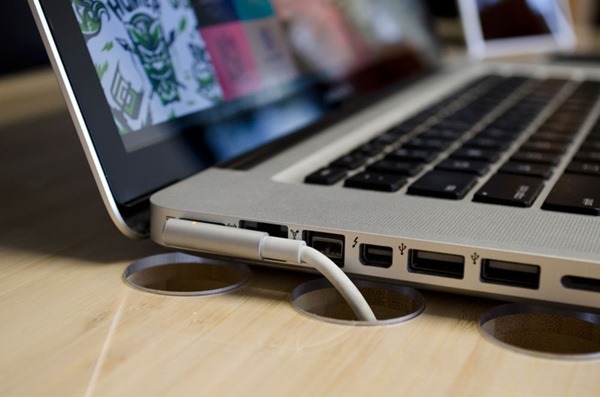 Plenty of holes for cable management is always a big plus, as is the additional cooling they provide for those power-hungry laptops we’re all toting these days. This post is being written on a MacBook that’s currently warm enough to heat a small moon-based colony, so cooling is always good! This does all come at a price though. 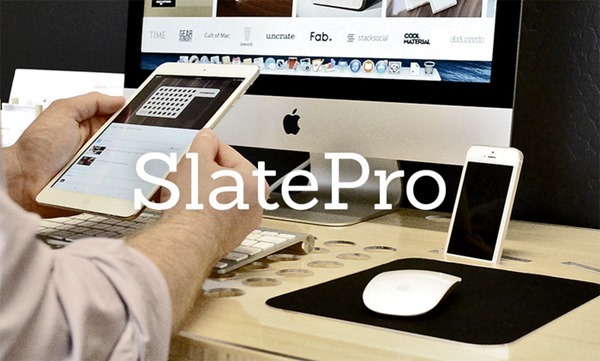 To get hold of a SlatePro you’ll need to hand over almost $500, with the post-Kickstarter price then jumping to two dollars shy of $700. That’s probably thanks to the bamboo that’s used to make the thing, but as far as desk go it’s certainly not cheap. That money does get you the ‘made in the USA’ stamp that everyone seems to happy to have these days though, so there’s that. Currently the SlatePro has had enough money pledged to back it four times over, so it’s definitely going to happen. If you want to get in on the ground floor, you’ve got 16 days left to do so, at the time of writing. Time to get that credit card out.